The California Judicial Council has forms online for any cannabis convict or defendant—adult or juvenile—to petition for a resentencing, for reduced charges, or to expunge and seal their record. This article is from the December Cal NORML Reports. 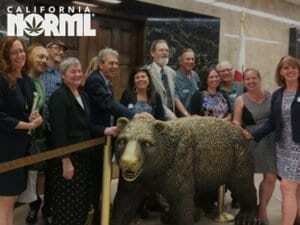 Join Cal NORML, support our work and receive our full newsletter by mail. 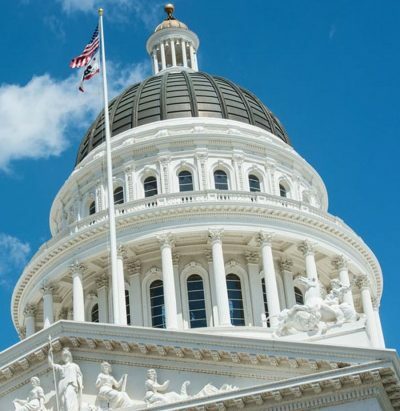 Several Cal NORML legal committee attorneys have reported that their clients have avoided jail time by having charges reduced under the Adult Use of Marijuana Act. Sherman Oaks attorney Eric Shevin said that over the previous week he’d received “hundreds, literally hundreds of calls” about resentencing. Cal NORML legal committee chair Bill Panzer hammered out a deal for Chris Phillips of Livermore. 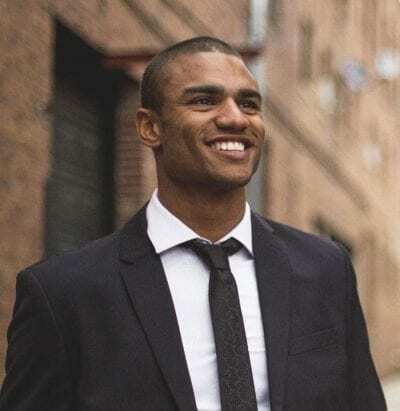 As reported by David Downs in the San Francisco Chronicle, Phillips ran several cannabis farms and a medical dispensary in Long Beach, for which he faced five felony counts and possible prison time. Phillips, a 36-year-old father of four, instead pleaded guilty to just one misdemeanor possession charge. Sebastopol attorney Omar Figueroa said one of his clients was looking at up to nearly five years in prison for felony transporting of pot and possession for sale, as well as a related probation violation. After Prop. 64, Figueroa said Sonoma County prosecutors agreed to an infraction charge, with no jail and no probation. Margolin noted that Prop. 64 builds on Prop. 47, which reduced drug possession and low-level theft crimes from felonies to misdemeanors after California voters approved it in 2014. While Prop. 47 diverted most drug users out of the felony court system, she said, Prop. 64 diverts pot growers, sellers, transporters and all juveniles, as well. According to the Chronicle, Sacramento County prosecutors say they have about 75 affected cases. San Mateo officials report approximately 100 pending cases, mostly felonies for alleged cultivation, while San Francisco prosecutors report about 200 affected cases, mostly involving small-time sales. Wagstaffe, who is also president of the California District Attorneys Association, expects Prop. 64 to cause police officers to arrest and cite fewer people for remaining pot crimes that are now misdemeanors, because the effort is “not worth” the paperwork and police time. The biggest group affected by Prop. 64—those who have already been punished for past pot convictions—may number in the hundreds of thousands. Many are now eligible to expunge their records, which could improve their job prospects or give them the right to possess a gun. The California Judicial Council posted forms online last week for any pot convict or defendant—adult or juvenile—to petition for a resentencing, for reduced charges, or to expunge and seal their record. You can file forms yourself, or contact a Cal NORML legal committee attorney. Eunisses Hernandez of the Drug Policy Alliance at 213-226-6426 is also available for legal assistance on sentence reduction or expungement. Those who are awaiting trial or are behind bars don’t need a form. They can petition for a Prop. 64 sentence reduction orally at their next court date.